We can hardly contain our excitement as we announce the addition of Solomon Hykes, Docker founder and CTO, to the Holberton Board of Trustees. Docker is the world’s leading software container platform. The chance to become involved with Holberton touches close to home for the Docker founder. “If it had not been for a project based, practical education my life would have been so radically different in every way, I can’t even imagine it. I wouldn’t have started my own company… Docker wouldn’t exist.” To provide a bit of perspective, Docker is currently valued at $1.3 billion. Solomon attributes much of his success to the model he was trained under; the same project based method that Holberton prides itself on. The similarities between Docker and Holberton don’t begin and end with their respective founders going through this type of tech education model. Solomon sees the students’ success at Holberton as a collective success across the staff and its students. “I think the team’s experience and the fact that they know what they’re doing and that they’re focused on the right things… not on the superficial signs of success but the true, concrete fundamentals of success. 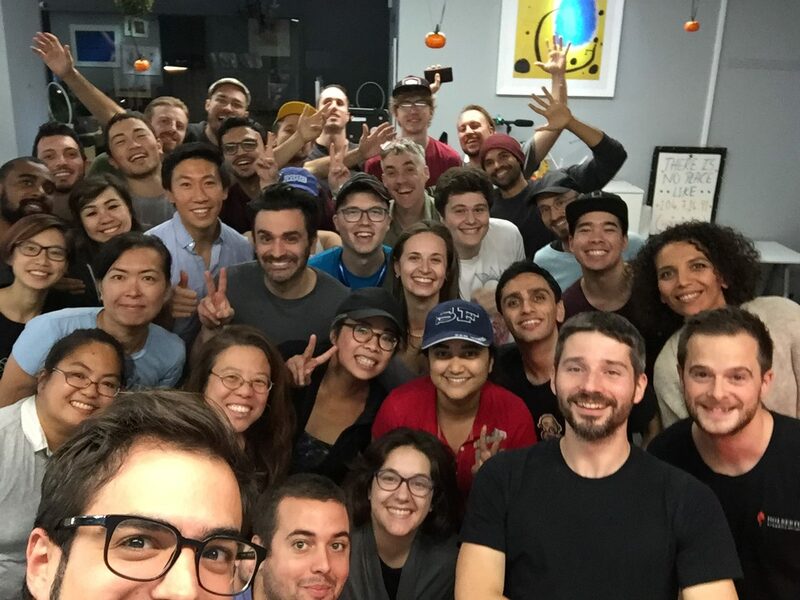 There’s a real willingness to break down barriers and make Holberton truly open to anybody.” With three Holberton students employed at Docker, it is clear the school’s formula is working. We look forward to working alongside Solomon to continue winning hearts and minds with our project and peer learning based tech education model.